Huawei just announced its high-performance flagship SoC at this year's IFA in Berlin - the HiSilicon Kirin 980 that's expected to power up the upcoming Mate 20-series. The key selling point of is that it's world's first 7nm-based chip (manufactured by TSMC) promising plenty of power and efficiency gains over its predecessor and over the 10nm chipsets by the competition. 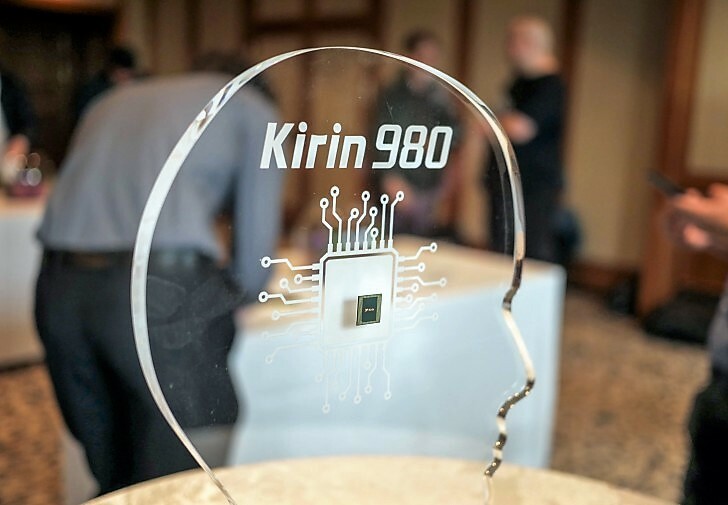 The Kirin 980 uses an 8-core CPU design with 2x high-performance Cortex-A76 cores and 2x "power-efficient" Cortex-A76 cores. We assume those two power-efficient Cortex-A76 cores are clocked lower than the high-performance ones and make use of ARM's DynamIQ architecture since they form a single cluster. The other set consists of 4x low-power Cortex-A55 cores. Moreover, Huawei has developed a "Flex-Scheduling" technology to assign the right cores to the right tasks and achieve better efficiency. Clock speeds are not disclosed, but Huawei says they are higher than the previous generation. As far as graphics acceleration is concerned, the SoC uses a Mali-G76 GPU which was announced back in May 2018 offering tremendous performance and efficiency gains compared to its predecessor Mali-G72 in the Kirin 970. According to the press release, the GPU outperforms the previous generation by 46% and saves 178% more power. It can also take advantage of the new clock-boosting technology that recognizes when a demanding game is running and provides optimal gaming performance. All of the above ensures 37% better performance than its Kirin 970 predecessor found in the P20 and P20 Pro. Still, some of you may wonder how it performs against Qualcomm's top-shelf SoC, the Snapdragon 845? Well, Huawei points out that the Kirin 980 outperforms the 10nm chips by 20% and it's 40% more efficient at the same time without mentioning the Snapdragon 845 name in particular. But the 7nm manufacturing process isn't its only claim to fame. The chipset is also the first to support 2133MHz LPDDR4X memory and incorporates a dedicated dual NPU chip. Huawei calls the latter "Dual-Brain Power" and can help recognize up to 4,500 images per minute, which is around 120% faster than last year's single NPU chip on the Kirin 970 SoC. Other notable features include 6.9 billion transistors crammed inside a 1cm² die (1.6 times more than its predecessor), 1.4Gbps Cat 21 LTE modem and blazing fast WiFi speeds of up to 1,732Mbps peak download/upload speeds. The Huawei P20 Pro surprised us all with great camera performance mainly thanks to the efficient ISP inside. This year's ISP is further improved and represents the fourth generation of Huawei's proprietary ISP. It delivers a 46% increase in data throughput and better multi-camera support overall. Other nifty features like new HDR color reproduction technology, Multi-pass noise reduction that removes artifacts without tampering with the image details and better motion tracking.